UPDATED: Thu., April 13, 2017, 5:07 p.m.
DENVER – Washington state regulators have begun accepting bids for a new seed-to-sale tracking system to keep tabs on marijuana commerce, a deal with an initial value of about $3 million. The competition likely will be fierce, given that the contract involves one of the nation’s largest cannabis markets. But businesses won’t be squaring off against the provider of the state’s current seed-to-sale system, BioTrackTHC. The company said it has no plans to bid for the new contract, saying it is uncomfortable with some specifics of the state’s proposal. BioTrackTHC’s contract expires in October. Bids for the new contract are due by April 26, and the state hopes to have the new system in place by Oct. 31, Brian Smith, communications director for Washington’s Liquor and Cannabis Board (LCB), told Marijuana Business Daily. The contract length will be negotiated. State government contracts have become a lucrative – and prestigious – source of income for software companies that provide seed-to-sale tracking systems. In some states, numerous competitors have submitted bids for contracts, which are often worth hundreds of thousands of dollars, if not millions. BioTrackTHC first won Washington’s contract in 2013. It beat out 21 other companies, netting $750,000 for the base deal and even more as part of a two-year maintenance agreement. But the company’s software platform has come under criticism from commercial cannabis growers who complained it was costing them time and money. Patrick Vo, CEO of BioTrackTHC, argues that the LCB’s proposed system is less robust than the company’s existing platform. And he believes the language in the bidding documents, or RFP (request for proposals), may not satisfy requirements spelled out in the U.S. Justice Department’s Cole Memo. “At this time, with the requirements that are in the RFP, we are not comfortable with bidding,” Vo said. Washington’s planned seed-to-sale system carries a price tag of approximately $3 million for initial installation. The state Liquor and Cannabis Board is contributing $980,000 to help cover the costs. State lawmakers must develop a plan to pay the rest. The platform allows regulators to monitor cannabis companies’ supply chain – everything from cultivation and transportation to dispensary inventories and sales. Initially, the state developed its requirements for the tracking system before any marijuana licenses were issued. The system met the state’s initial needs, the LCB’s Smith said. But now, with some 1,600 licensees, it’s necessary to revamp it. Since operations began, Smith said, the state cannabis market has grown “exponentially” and has exceeded the current platform’s capacity. 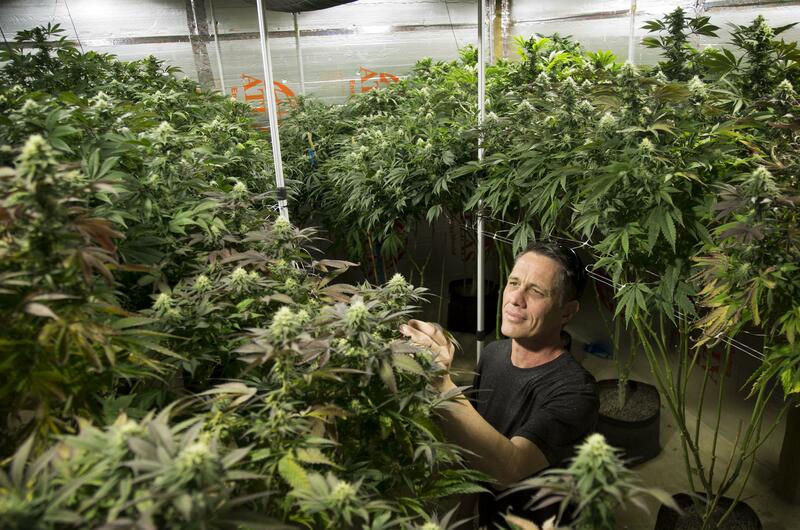 Washington has about 500 MJ retailers and some 1,200 producers and processors. To pay for the system’s ongoing cost, the annual license fee for the seed-to-sale contractor would rise to $1,300 from the current $1,000. Like state regulators, industry officials want a new system that’s flexible and can adapt to a changing cannabis industry. When Washington legalized adult-use cannabis, regulations were applied that have since been amended and changed. The state has struggled to alter the tracking system to account for those changes, according to Lizotte. Each change requires customizing the system, which comes with a “very, very expensive” price tag, she said. “The government platforms that we have deployed in other states are all different. They’ve all been configured for their specific regulations,” he added. Karl Keich, who owns two marijuana retail stores in Washington, hasn’t experienced any glitches with BioTrackTHC. “We haven’t had any issues,” he said. He does hope the state will award a contract for a system that uses an interface that integrates easily with the different point-of-sale software systems used by rec shops and dispensaries. By contrast, Jeremy Moberg – president of the Washington Sungrowers Association and CEO of Cannasol Farms, a producer/processor company in Okanogan County, Washington – hasn’t been happy with BioTrackTHC. Published: April 13, 2017, 9:52 a.m. Updated: April 13, 2017, 5:07 p.m.